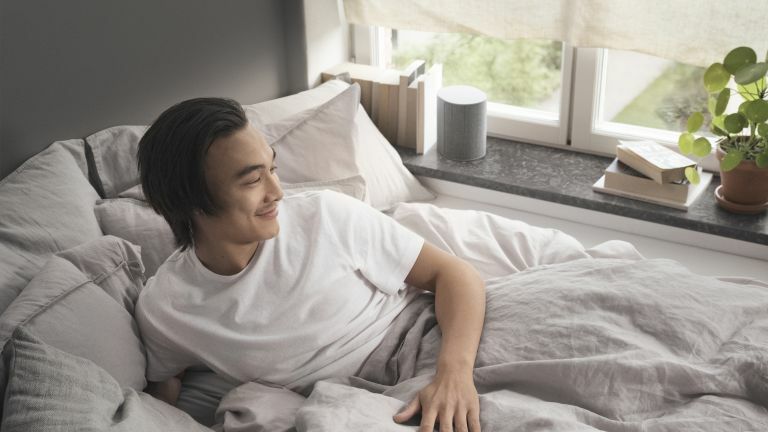 Following on from the Beoplay M5 that we first saw at CES 2017, B&O Play has announced the £279/$299 USD Beoplay M3 - its lowest priced multiroom speaker. Like its bigger brother, the M3 is designed for complete connectivity with built-in Google Chromecast support, Apple AirPlay, Beolink Multiroom (to create a multiroom system with other B&O Play products controlled from your iOS or Android phone) and, of course, Bluetooth 4.2 for universal connectivity. Next year, Beoplay M3 will also support Apple’s AirPlay 2 enabling audio to be sent to multiple AirPlay compatible speakers. There's a 3.5mm line-in for direct connecting, while the cover is interchangeable. Choose from acoustically-transparent wool-blend fabric - created by Danish textile company Kvadrat - or a pearl blasted anodised aluminium cover. Made of 'rigid polymer', Beoplay M3 is front-firing, featuring one 3.5-inch custom designed long stroke mid/woofer and soft-dome tweeter. Standing 15cm high, the device is designed by Copenhagen-based Cecilie Manz like other B&O Play gear. Beoplay M3 is launching in two colours: Natural (grey, as you can see here) and Black. As with its other headphones and speakers, B&O Play promises there are seasonal colours to come - some of the company's seasonal offerings have been rather good, so we can't wait to see what's next.